CISS for Canon ip4850 is easy to use perfectly suits for using at home. Efficient Canon iX6550 with high printing speed for home. 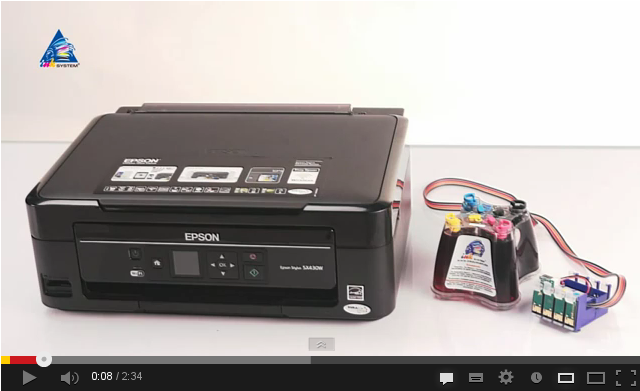 Continuous Ink supply system for for Canon mg5150 is easy to use perfectly suits for using at home. Cost-effective Canon mg5250 with high printing speed for home. CANON CISS is a reliable and economical alternative for original consumables. What is the need of buying expensive cartridges from the manufacturer, if you can print for a much lower price without loss of quality? You may buy CISS for CANON online and save round sums in your budget. You can and should economize on ink-jet printing. 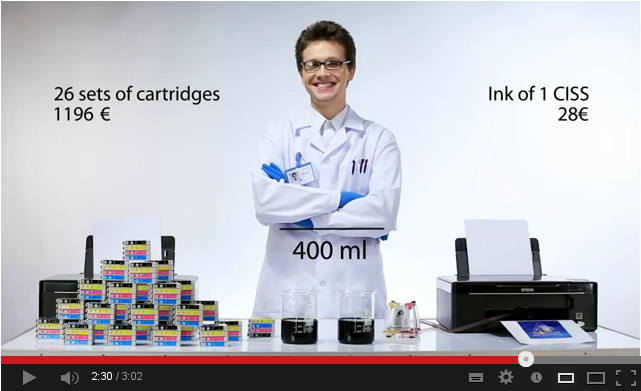 A continuous ink supply system will help you in it. CANON PIXMA CISS is as reliable as original cartridges, is perfectly compatible with printing devices and provides the print quality identical to the original. At the same time, the unique CISS system reduces the cost price of every printed document to the minimum. The price of each printing reduces in dozens of times in comparison with printing on original cartridges (use Canon pixma ink cartridge or Refillable Cartridges Canon Plotters). Moreover, the device provides a stable printing and cares of a continuous operating of a printer, plotter or MFP. You may buy CISS for CANON right in our online store. You can save fantastic sums of money with the help of CANON PIXMA CISS, continuous ink supply system Brother printers or CISS HP printers. Every photo, every chart, text document, advertising poster or kids' colouring book can have an extremely low price. You may buy CISS for CANON printer and make the process of printing 20-30 times cheaper than it would be with original consumables. A precise percentage of economy depends on the type and price of ink, which you are going to use. Why is the economy so large? Just think, how much you have to overpay for original cartridges. Actually, you need only ink for an inkjet, but you have to buy plastic containers, chips and pay for the brand additionally. Original cartridges contains very little ink, that's why you will have to change them (and again, to overpay) rather often. As for CISS for CANON, you won't have to change it or throw it away. When donor containers are run out of ink, you'll just have to refill them. You should not to worry about the reliability of the device as well. You may buy CISS for CANON, and your printing device will work as stably as with original consumables. A continuous ink supply system is worked out and constructed so that it can prevent all possible breakdowns and failures of a printer, plotter or MFP. CANON CISS of INKSYSTEM trademark is perfectly compatible with the majority of ink-jet printing devices, presented on the market. You may buy CISS for CANON designed specially for your model of a printing device. 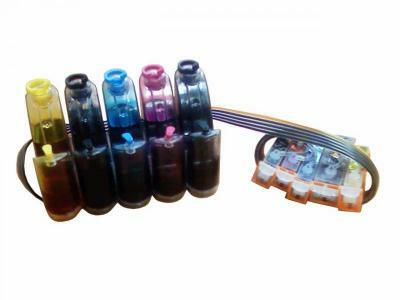 In this section continuous ink supply systems for different configurations of printers by this manufacturer are presented. Description of all the features of production will help you to choose a suitable system. On every page, dedicated to this or that CANON CISS, the model of a printing device, which this model recommended for, is mentioned. The construction of a continuous ink supply system represents a hermetical system, consisting from three major components. Three main elements of CANON PIXMA CISS are ink reservoirs (also known as donor containers), compatible cartridges and a silicone loop. The reservoirs are placed outside a printing device, while the cartridges are put inside a printer, instead of the original cartridges. Donor cartridges are connected to cartridges with a flexible silicone loop. Ink comes from the reservoirs through the canals of the loop into the cartridges, and then to a printing head of the device. You may buy CISS for CANON and get convinced in the reliability of the construction. 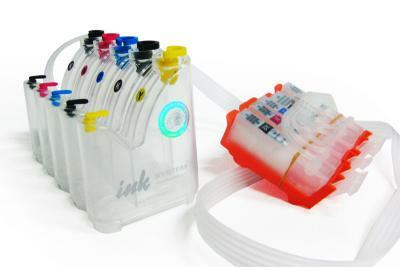 Ink reservoirs are made from a very durable material вЂ“ polycarbonate. This material provides wear resistance and endurance of the construction. Moreover, the case of CANON PIXMA CISS donor containers doesn't have glued joints, which gives more durability to the reservoirs. Loop canals are made from a high-quality material. You can buy CISS for CANAN and print large volumes of documents continuously. Moreover, the installation of a continuous ink supply system is absolutely safe. While installation the inner constructed of a printer isn't changed. A special construction of CANON PIXMA CISS and a careful installation means that a user will keep the guarantee from a manufacturer of a printing device. No risk at all. You can buy CISS for CANON as well as HP CISS in our online store. The procedure is very simple: just press the button "buy" and leave an order on the site; in short time our managers will contact you and specify the details of delivery and terms of payment. Besides, you can buy CISS for CANON in regional representative offices of INKSTREAM company. If you print rarely, we would recommend you to buy a printer with a refilled cartridge, which is a perfect variant for a home usage.